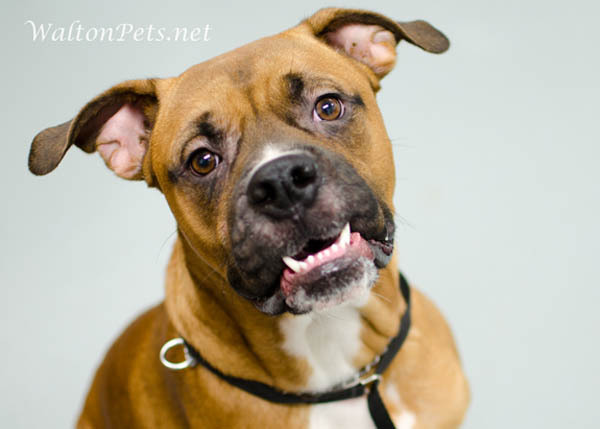 Donner is a 1-2 year old boxer mix male who is good with people, dogs, and appears to not chase cats. He is available for adoption from the Walton County Animal Shelter. Brandie is a 4-year old, 29# low-rider who’s about the size of a beagle. An owner turn-in, she’s said to be good with kids and other dogs. 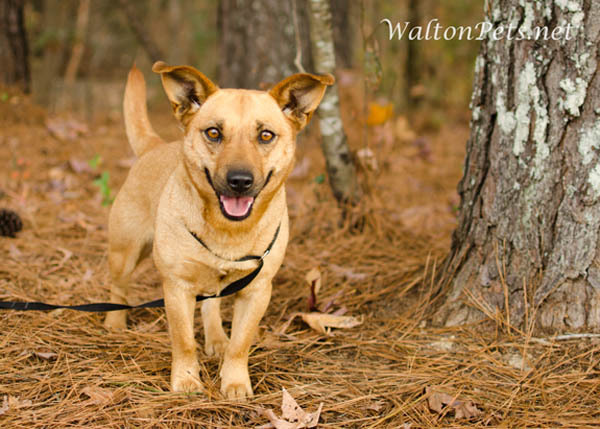 She’s available today from the Walton County Animal Shelter . 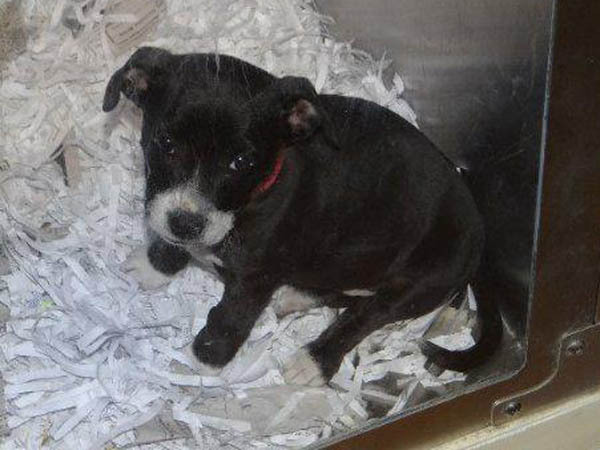 28845 is a pibble mix puppywho is friendly and playful. She and a number of other puppies, dogs and cats, is available for adoption from the Gwinnett County Animal Shelter for the discounted adoption fee of $30. For a small number of voters across the state, today is Yet Another Election Day. I’ll be heading across the street shortly after publication this morning to vote in the runoff election for Mayor and City Council of the City of Brookhaven. The first vote I will cast will be for J. Max Davis for Mayor. J. Max is a conservative who will help ensure that the City of Brookhaven fulfills its promise of lower taxes and better services. He led the group that worked for incorporation and is the best choice today. Davis is endorsed by State Rep. Mike Jacobs and State Senator Fran Millar. If I lived in her district, I would be voting today for Rebecca Chase Williams for District 1 City Council. Senate District 30 voters will choose between State Rep. Bill Hembree and Mike Dugan in today’s runoff election, leading to the General Special Election on January 8, 2013. Turnout could be light, if advance voting figures are any indication. Only 922 voters cast early ballots in Carroll County, about 1.8 percent of the 52,412 eligible voters. Voters in Augusta City Commission District 1 will return to the polls today in a runoff election between Commissioner Matt Ait­ken and challenger Bill Fennoy. Aitken was first elected three years ago in a runoff against Fennoy. Clayton County voters will fill two seats on the county board of education today. Clayton County is currently under investigation by SACS for board in-fighting. District 2 incumbent Trinia Garrett will face Judy Johnson, and District 7 incumbent Wanda Smith will face Mark Christmas. Currently, there are 18,600 registered voters in School Board District 2 and 13,775 in School Board District 7. Early voting for the Dec. 4 election closed Friday, but the Elections and Registration Office has only received 9 in-person voters and 62 mailed absentee ballots. “Observing the turn out for early voting, I do not anticipate a high volume of voters to turn out Tuesday,” said Elections Director Annie Bright. Last week the State Elections Board fined Blackshear City Council Member David Broady $5500 for illegally handling 55 absentee votes in 2009 during his reelection campaign. The civil fine amounts to $100 for each absentee vote the Georgia Secretary of State’s office investigation said Broady handled and delivered to the Blackshear post office just prior to the Dec. 1, 2009 city council District 4 runoff election. Broady was accused of 55 felony counts of unlawful possession of absentee ballots. State law says it is illegal for anyone other than a person with legal authority to possess others’ ballots – such as an official overseeing an election – outside of the polling place. State election officials launched a probe in January, 2011 following a complaint regarding the 2009 runoff between District 4 incumbent Broady and challenger Bernice Blakely Bowles. The State Election Board forwarded the case to the Attorney General’s office after a presentation in February this year after finding probable cause to proceed. The absentee ballots allegedly handled by Broady were counted in the runoff election, in which Broady defeated Bowles 90-57. In Troup County, there will be a rare runoff election for Sheriff as an independent candidate forced Democrat Ruben Hairston and Republican James Woodruff into a second round of voting. Hairston played professional football and was endorsed by the outgoing Republican sheriff. Wilcox County also has a runoff election for Sheriff with Republican Mike Martin and Democrat Lonnie Curry on the ballot today. McIntosh County hosts a runoff election for board of education between Republican Bonnie Caldwell and Democrat Vicky Persons after an independent ran in the general election. Putnam County hosts a runoff election for District 1 County Commissioner with Republican Kelvin Irvin and Democrat Fred Ward making the cut. Early voting in the special election runoff for the District 1 county commission seat ended Friday with a total of 317 ballots cast, according to the BER office. In addition, 62 absentee ballots had been returned by 5 p.m. Monday. The Taylor County Commission District 4 seat is up for grabs today in a runoff election between incumbent Commissioner Jerry Albritton and challenger Russell Pounds, who tied in the general election with 343 votes each. Brunswick sees a runoff for the Brunswick-Glynn County Joint Water and Sewer Commission between Clifford Adams and Sandy Dean after a ten-candidate free-for-all general election. Lobbyists are reminded that registration is due soon and the online renewal system will be available from December 17, 2012 through January 9, 2013. At least in theory. The computer system at the Commission appears to be down this morning. Consider yourselves warned. Governor Nathan Deal named Senators Rick Jeffares and Charlie Bethel as Administration Floor Leaders, who join Senator Bill Jackson. Deal also appointed two judges in the Bell-Forsyth Judicial Circuit. Deal announced Monday that he tapped State Court Judge Philip C. Smith, 57, to the superior court. He then selected Forsyth Solicitor-General Leslie Abernathy, 45, to fill Smith’s seat on the state court. Deal’s Judicial Nominating Commission had put both Smith and Abernathy on the short list for the superior court seat. The vacancy created by Smith’s promotion to the superior court was not advertised and did not go through the usual JNC vetting process, although previous governors have made similar moves. The Atlanta City Council voted themselves pay raises yesterday, going from $39,000 to more than $60,000 and raising the Mayor’s pay from $147k to $184k per year. Because they deserve it. The raises were pushed by an independent review committee that looked into compensation for Atlanta’s elected officials. Supporters say bigger salaries would bring better candidates, but some union officials think the money would be better spent on those supplying city services. Taxpayer watchdogs also wonder about the wisdom of giving elected officials big raises. While most council members chose to remain silent on the issue, veteran council member Cleta Winslow defended her vote for the pay raise. “There have been a lot media that’s been running around today — I’m not afraid of the media. I believe that we deserve the raise and I’m just going to say it,” Winslow said after listening to numerous speakers question the timing and amount of the proposed salary hike. Fulton County will consider on Wednesday hiring Arnall Golden Gregory to lobby the General Assembly at a cost of more than $260,000. After months of deadlock over how to handle the upcoming state Legislative session, on Wednesday the Fulton County Commission will consider hiring an outside lobbying firm at a cost of $260,416. Arnall Golden Gregory scored the best out of three bidders for the state- and federal-level lobbying job. 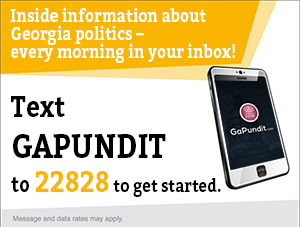 Rusty Paul, a former Republican state senator and leader of the Georgia GOP, is a senior policy advisor at the law firm and co-chairs its government affairs team. Paul was last seen on Fox5Atlanta defending the exorbitant lunch and flower bills of the Development Authority of Fulton County. WABE asks “Who steals 20,000 bags of dog food,” after a theft of more than $30,000 worth of kibble from a warehouse. This guy, that’s who.